I can’t remember how I heard about the tick key, but I am glad I have one. In fact I think they come in sets too, and it might be a good idea to have more than one since it’s easy to lose track of it. The shape of the opening narrows to a point and I’ve used it to remove 2 ticks from my cats. Just slip the wide end over the tick and slide it down to the point. 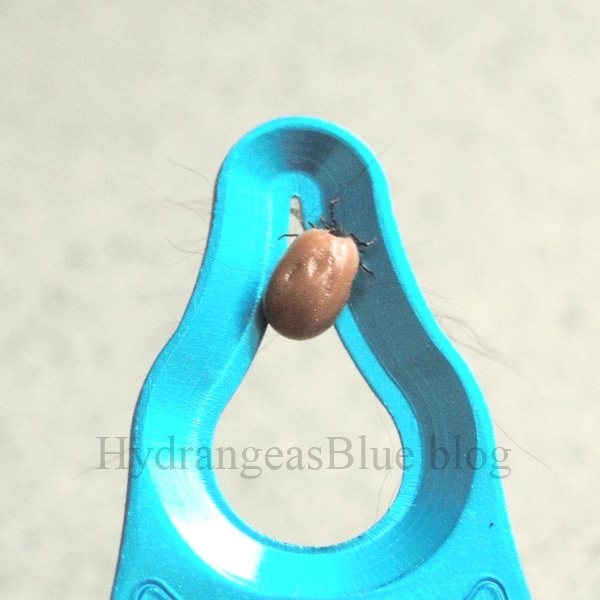 The tick comes right off – head and all. It’s so simple! Wish my photo was better, but you get the idea. I hate these things, like everyone else, and getting them off the animals was always such a chore. Then I’d worry if I’d removed the whole thing. I find most bugs to be interesting and usually helpful. But there is no reason for ticks to exist, as far as I can see. Lime disease is so bad in New England, we have to find the best ways to avoid getting ticks in the first place. 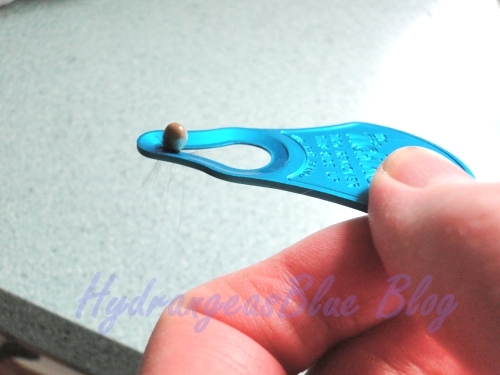 But if you are bitten, or you furry family member is, try the tick key – I think you will like it. You can find them at Amazon. Everyone needs to have this thing! I need on of these!! Where did you get it?